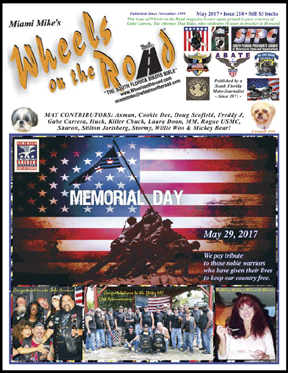 If you have a Biker Related Link send it to miamimike@wheelsontheroad.com and I'll include it here. Keep and Bear Arms - Gunowners Website www.keepandbeararms.com The most foolish mistake we could possibly make would be to permit the conquered Eastern peoples to have arms. History teaches that all conquerors who have allowed their subject races to carry arms have prepared their own downfall by doing so. Indeed I would go so far as to say that the underdog is a sine qua non for the overthrow of any sovereignty. So let's not have any native militia or police. German troops alone will bear the sole responsibility for the maintenance of law and order. ~~ Adolf Hitler, April 11, 1942. (Source: "Hitler's Table-Talk at the Fuehrer's Headquarters 1941-1942", Dr. Henry Picker, ed. (Athenaeum Verlag, Bonn, 1951).